Anyone who likes shortcuts will be happy to know that ISL Light supports AutoHotkey. 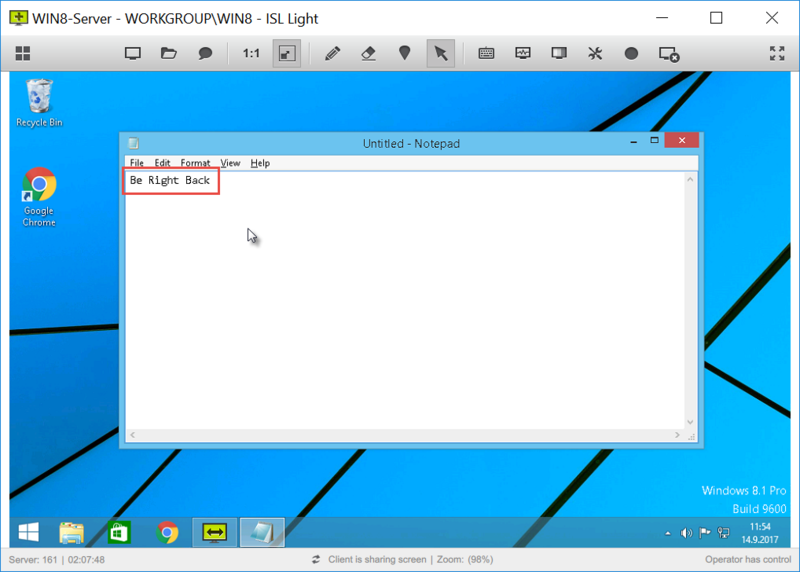 ISL Online remote desktop software enables the AutoHotkey scripts which are running on operator’s computer to be executed on the remote computer. AutoHotkey is a free, open-source scripting language for Windows that allows users to easily create small to complex scripts for all kinds of tasks such as: form fillers, auto-clicking, macros, etc. With AHK you can boost productivity and make short work of repetitive tasks. How does AHK work on the remote computer? ISL Online allows the script running on your computer to take effect on the remote computer you are supporting. Follow the steps below to get started. 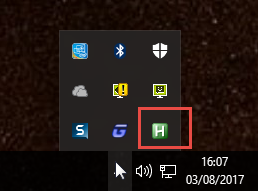 Launch the AutoHotkey script on your computer and make sure it is running by checking the “Tray” icon in the bottom right corner of your desktop. Start a new ISL Light session and connect to the remote computer. Open up a text editor on the remote computer to test the functionality. Let’s enter an abbreviation, in this case “brb” which stands for “Be right back”. The abbreviation gets expanded into its full-text equivalent “Be right back”. The script is now set up and you are ready to start supporting with the help of the extended functionality offered by AutoHotkey. This article is a part of the “ISL Online features you probably didn’t know about” series. Stay tuned for more features that might help you make your work even more efficient! This entry was posted in ISL Online features you probably didn't know about and tagged autohotkey, IT support, remote access, remote support, tips and tricks. Bookmark the permalink.